Sydney is superbly endowed with world famous beaches and they can give your wedding photos a real Australian flavour. Beaches are fun, colourful and very natural places for wedding photos, where the shots look light and casual. Sydney has more beaches than you can shake a stick at, including Manly, Bondi, Coogee, Maroubra, and all the Northern Beaches to name but a few. Sunset is a great time at most beaches with soft warm light and less people around, but during the day you can get some stunning colourful photos. We detail below a number of Sydney's beaches for wedding photo locations. Manly Beach is an good location for wedding photos, but it can often be crowded, especially over summer, so pick your spot well! Long Reef Headland is a great location for a impressive headland outdoor wedding, with 360 degree views over the golf course and the Northern Beaches north and south. Some good photo locations are Long Reef beach, and the Reef itself is great at low tide. Shelley Beach is a private and sheltered beach away from the bustle of Manly's main beach. 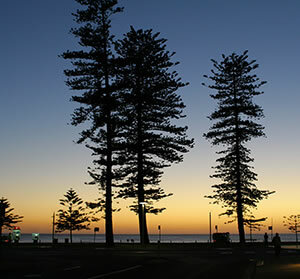 It's a very popular place for an outdoor wedding, with most held under the palm trees on the far side of Shelley Beach. The best (and closest!) place for your reception is Le Kiosk, right on the walk way although there isnt great space for a large wedding. Great locations nearby are Shelley Headland, the rocks above the car park, Shelley Beach itself, and the walk way back to Manly. Balmoral Beach is a popular outdoor wedding location, and deservedly so. The end of the Rock Island is one of the best places, either right out on the point and overlooking the harbour, or in the trees on the south-west side for more shelter and views over Balmoral Beach. The beach is a beautiful place with a variety of great locations for a wedding ceremony and location photos afterwards. The Bathers Pavillion is the perfect choice for your reception and has a great upstairs and outdoor balcony area to watch the sunset. Whale Beach is a deservedly famous place for holding an outdoor wedding. It has a private feel and with Moby's restaurant close by you have the perfect combination for a lovely outdoor wedding. The beach has a number of good spots, but also look at Malo Reserve high on the southern end of the beach for small ceremony venue. 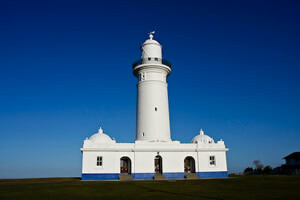 Macquarie Lighthouse which marks the site of Australia's earliest and longest continually operated light station. The lighthouse forms an impressive back drop to your wedding photos, distinctive and beautiful on a blue sky day. 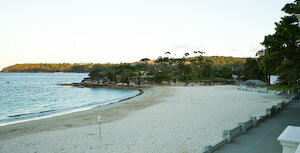 It's a great spot with Watson's Bay and Neilsen Park also close by for photos.